Accenture, Boots, ESB, Marks and Spencer, Musgrave, SSE Ireland these are just some of companies we work with in this stream. Our expert team of advisers work with some of the top companies in Ireland to create real and lasting change both on business and industry sector issues. To join this stream companies must be certified to our third party certified standard, The Business Working Responsibly Mark or must have other equivalent certifications. 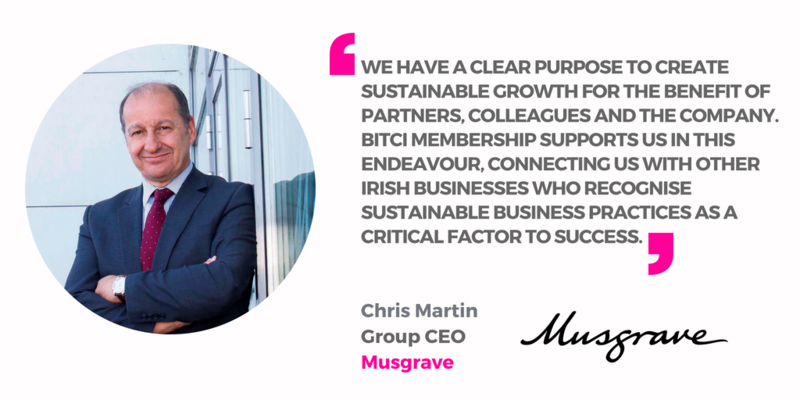 Companies have access to the Leaders’ Group on Sustainability, a coalition of Ireland’s leading organisations that is striving to improve the sustainability of the Irish business sector through sharing best practice and creating new ways of doing business.